Popsicle sticks are one of the favorite craftings for kids. 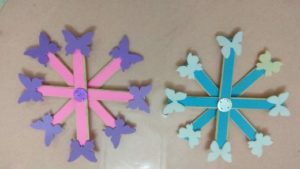 You can experiment and make creative crafts with popsicle sticks be it Popsicle Stick photo frames, snowflakes, ornaments and more. It’s Christmas coming soon, and making snowflakes with popsicle sticks will be an amazing and affordable idea! Let’s learn how to make easy Popsicle Stick Snowflakes projects quickly for some fun holiday crafts. 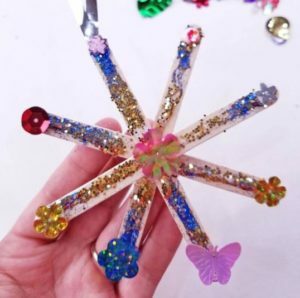 Kids will love this winter craft. 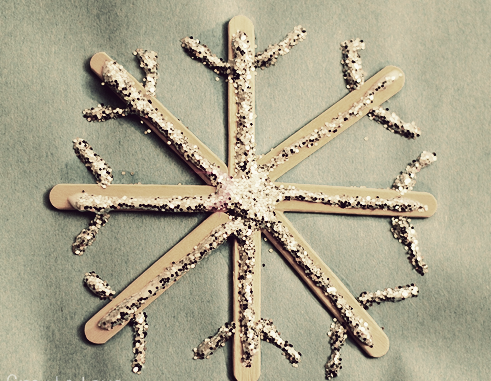 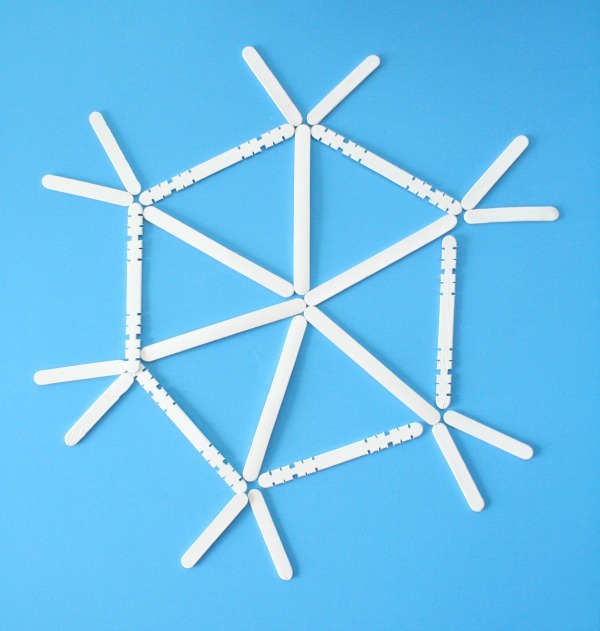 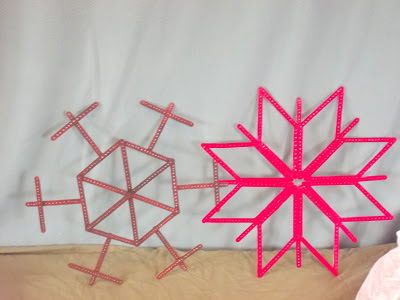 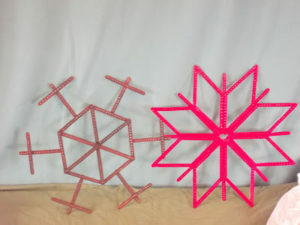 Make these beautiful snowflake patterns with popsicle sticks and paint them with bright colors. 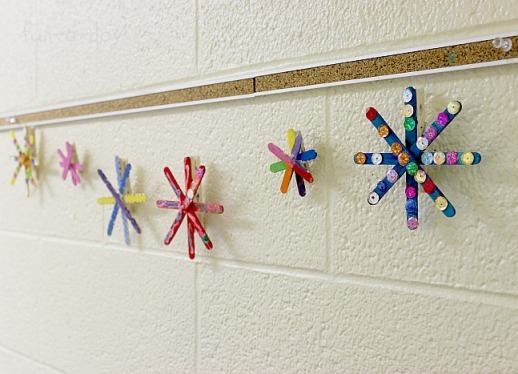 Decorating them with beads, glitters, and stickers will be great. 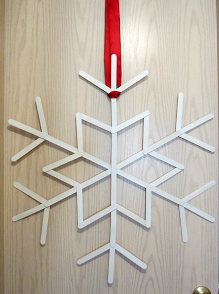 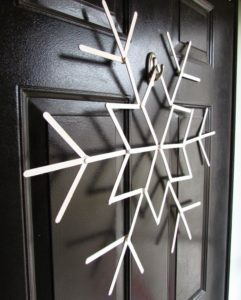 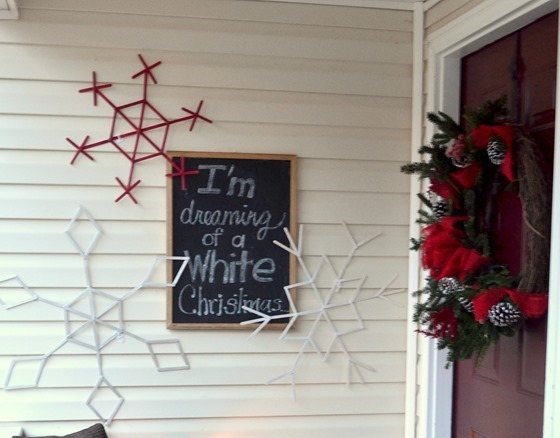 Make this elegant snowflake design with popsicle sticks and adorn your doors with pretty snowflake this winters! 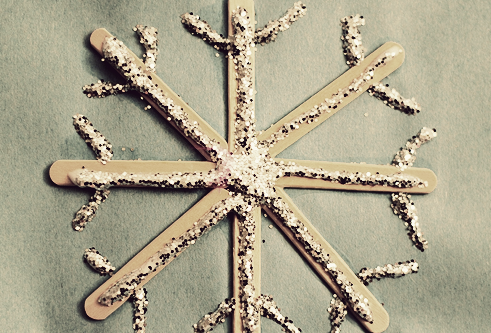 Making handmade snowflakes at home is very simple and interesting! 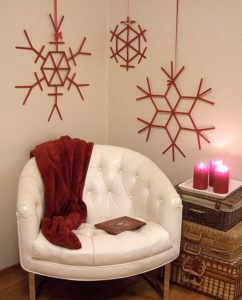 Using different shades makes it look beautiful. Time to use glitters and stickers to decorate your snowflakes for the festive season! 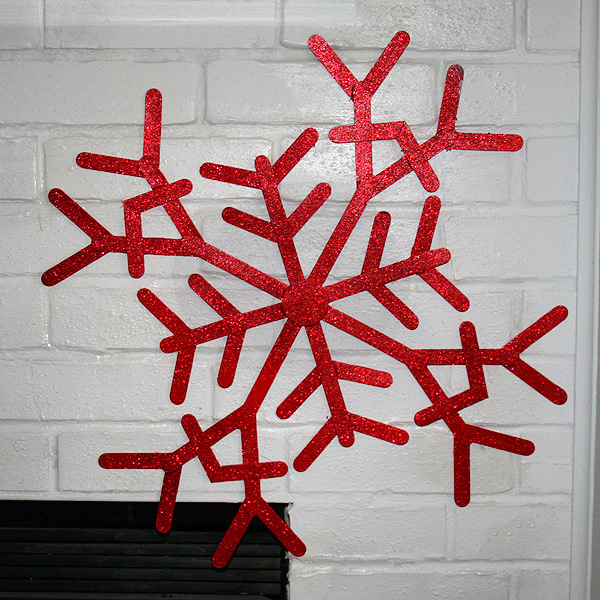 This Red giant size snowflake looks stunning on the walls as a Christmas decoration. Stick the popsicle sticks neatly and make this adorable pattern. 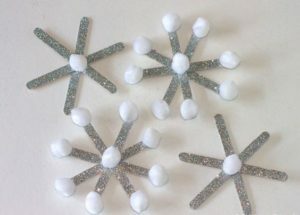 Making small snowflake garlands will look lovely on your walls or doors. 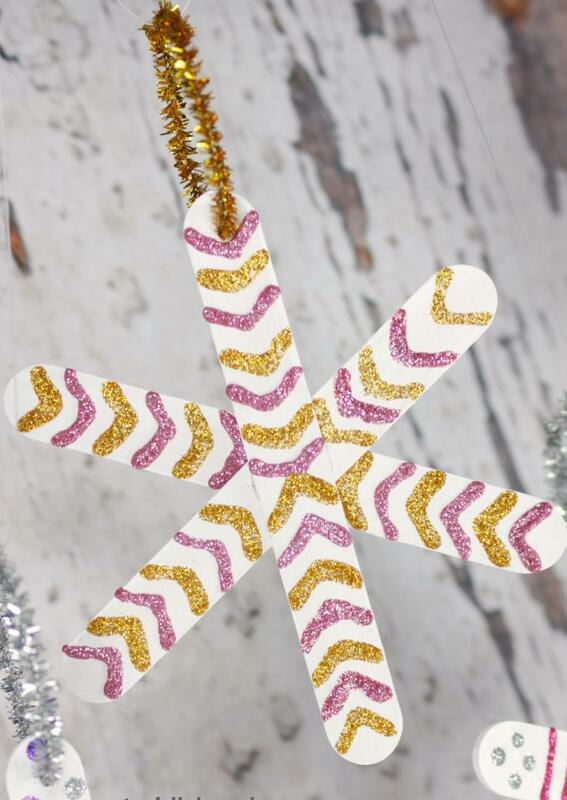 Follow the simple step-by-step instructions to make this design. 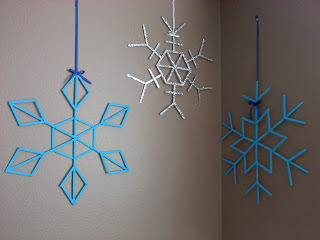 An easy to follow design for small kids from preschool or kindergarden to make cute snowflake designs themselves! 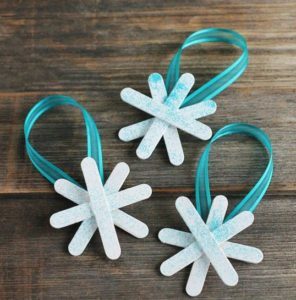 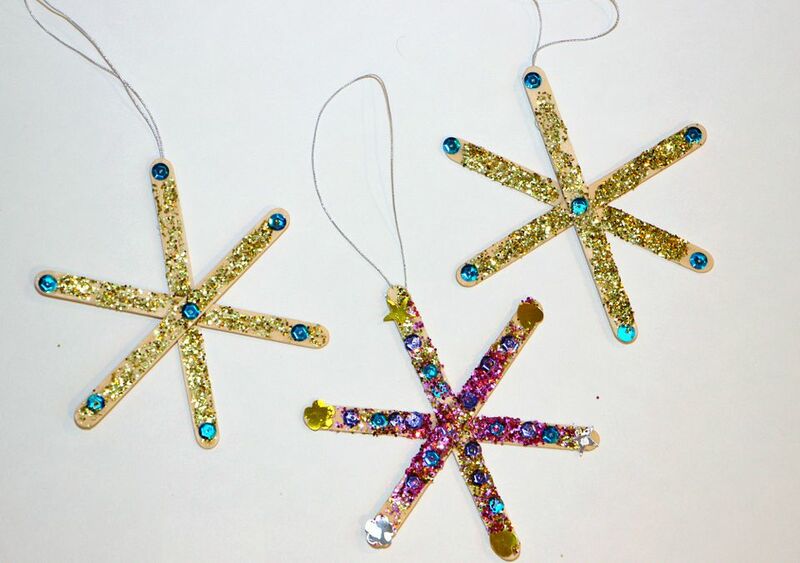 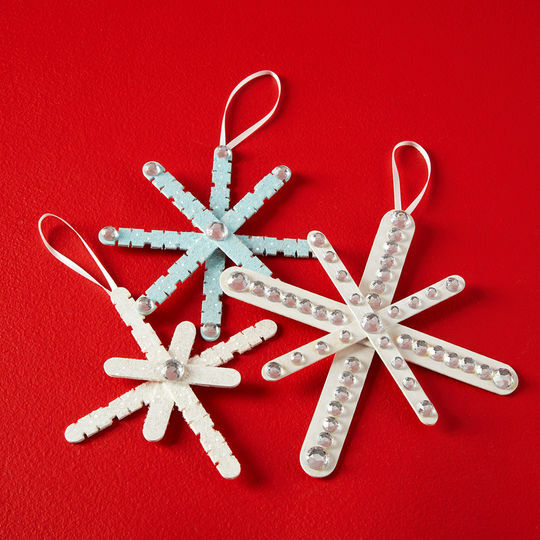 Use some glitter, cotton balls and glue gun to make homemade snowflake ornaments! 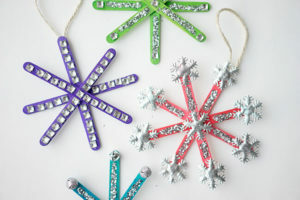 The silver color looks so sober and ideal for a classic look. Take your creativity to a new level. 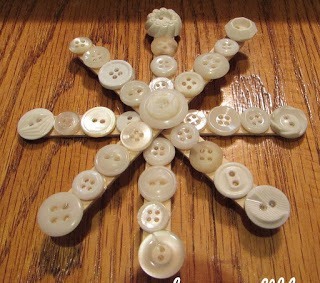 Re-use your old buttons and stick them to decorate the snowflake pattern you’ve made. 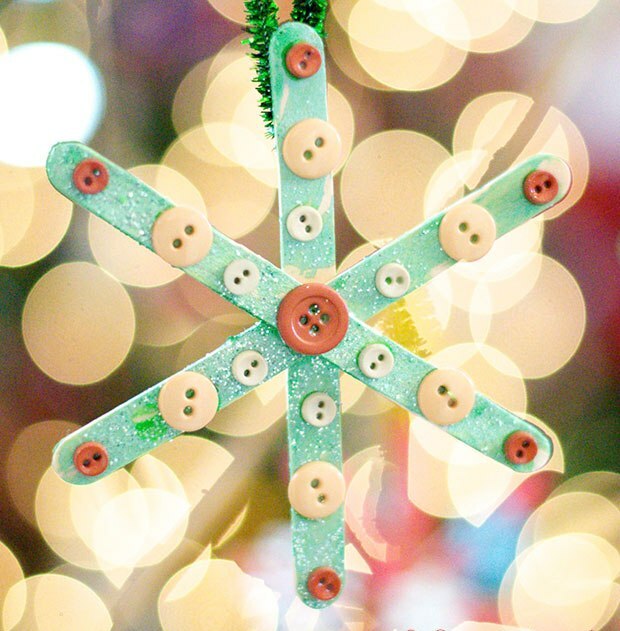 You can use colorful buttons too. 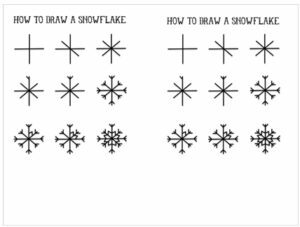 Follow instructions in this free printable template and make amazing snowflake patterns with popsicle sticks this winter! 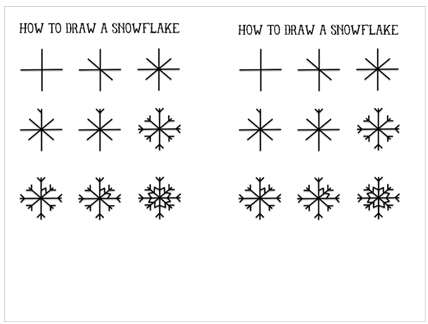 A very simple and easy snowflake design for kids. Just splash some colors or spray paint them and hang them on your walls. 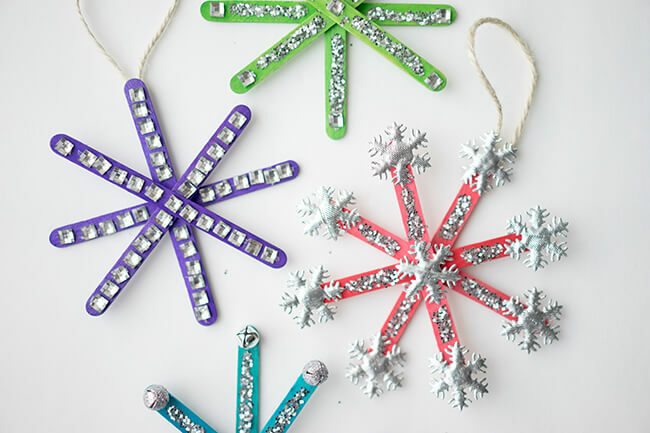 Embellish your snowflakes with buttons, ribbons, pom-poms or glitters and use them as accessories to decorate your Christmas tree this winter! 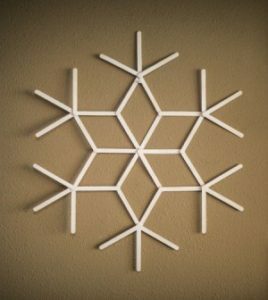 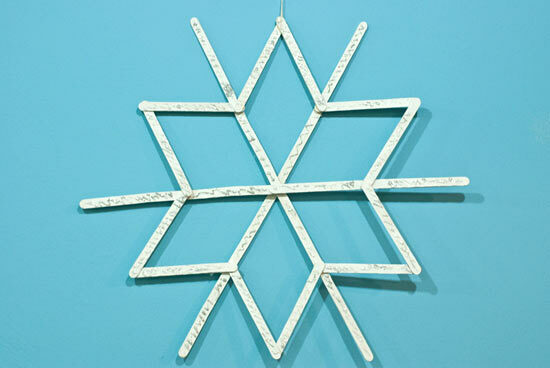 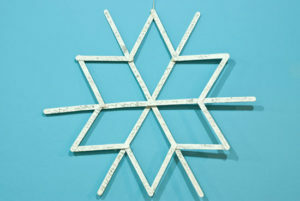 Make this large sized snowflake geometric design with popsicle sticks to adorn your walls of your room. 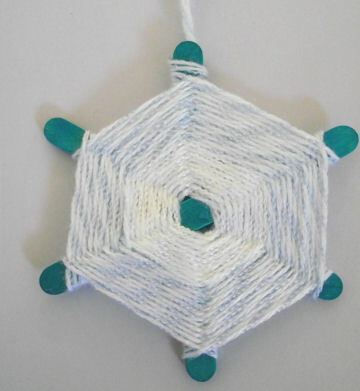 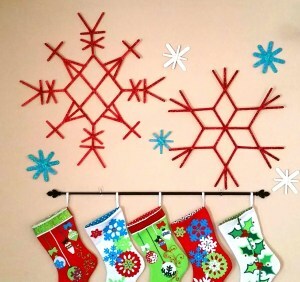 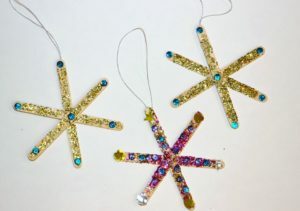 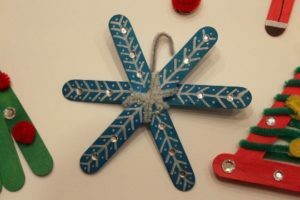 You can make these as wall hangings or stick a magnet at the back of the snowflake and make a magnetic ornament. 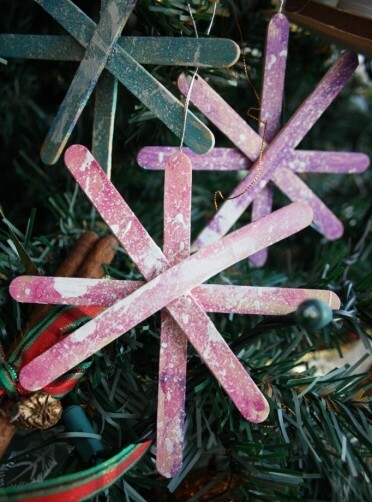 Paint these oversized popsicle sticks or icecream sticks and then stick them to make it easy to assemble them! This Frozen Inspired Snowflake Ornament made from popsicle sticks is a cute and creative winter craft for any young Elsa fan! 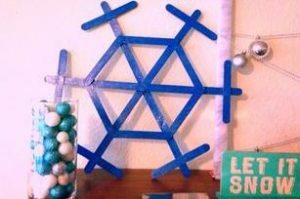 Do-it-yourself today!